Looking for four suitable photos for the Thomas Cook Explore the Elements competition – find it here http://www.thomascook.com/blog/featured-posts/explore-the-elements/ – has been the perfect excuse to spend a Sunday afternoon browsing through my travel photo albums. This was taken a month ago in Jacmel, Haiti. 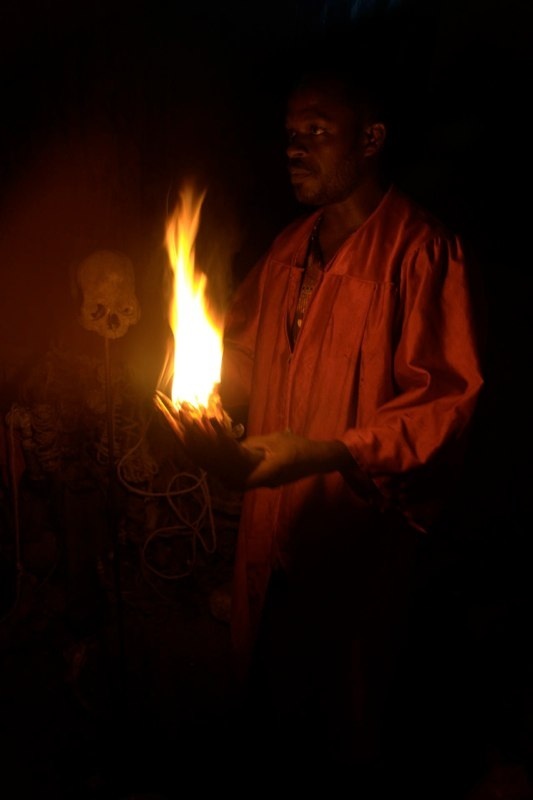 The man in the photo is a houngan, or Vodou priest, who was explaining some of the rites and rituals that form his religion. I love the atmosphere that this photo conjures up, with the shadowy skull in the background that hints at dark practices. Attending a blessing ceremony later that evening was an experience I won’t forget in a hurry. I got married last year in Iceland and the day after the wedding, my new husband and I revisited the beach at Jokulsarlon on Iceland’s south coast ten years after our first trip. 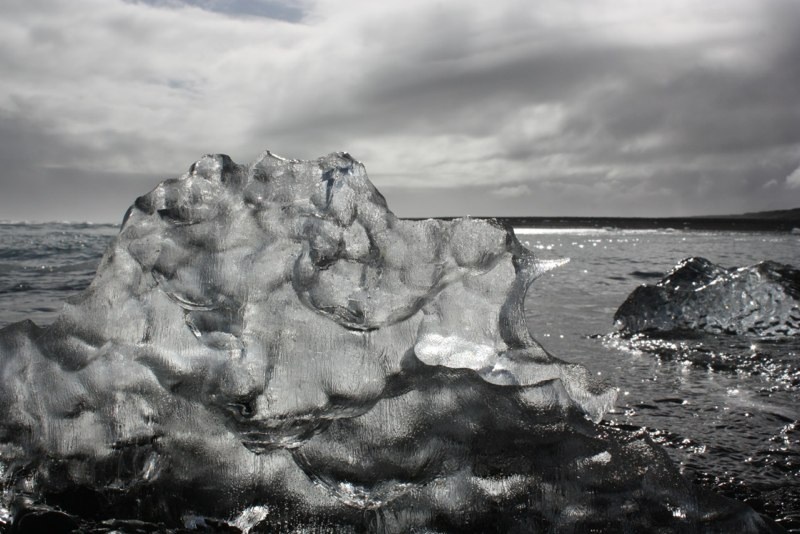 Ice that has calved from the glacier is washed out to sea where these tiny icebergs slowly disintegrate. I love that this photo looks almost black and white in the sunshine. Not being a massive sports fan, I fled to Namibia to escape the London Olympics and found myself in the Namib Desert on the evening of the opening ceremony. 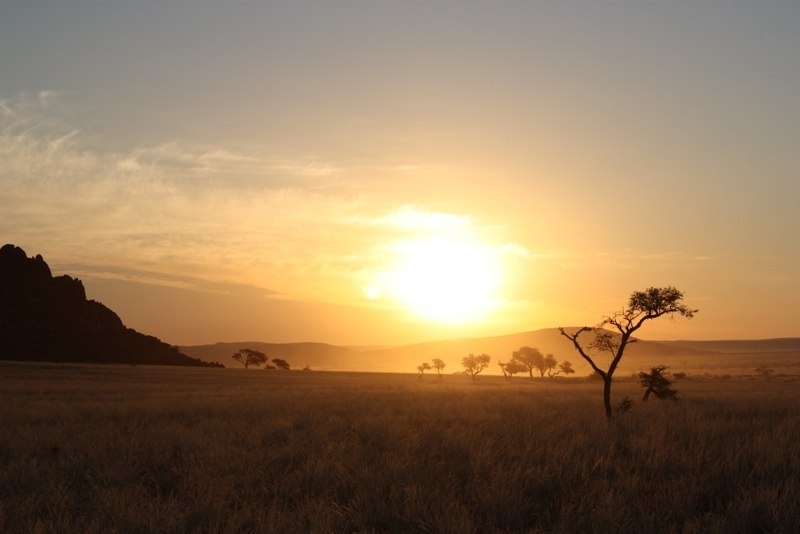 The sunset in this remote location was spectacular and I especially love the tree silhouette which draws the setting sun towards you as you look at it. I sat outside my tent with a cold beer until the light faded completely before repairing to the bar where ironically the Olympics was on the TV. I found this category the most difficult. My thoughts turned to a hot air balloon trip I made a few years back in Cappadocia, Turkey. 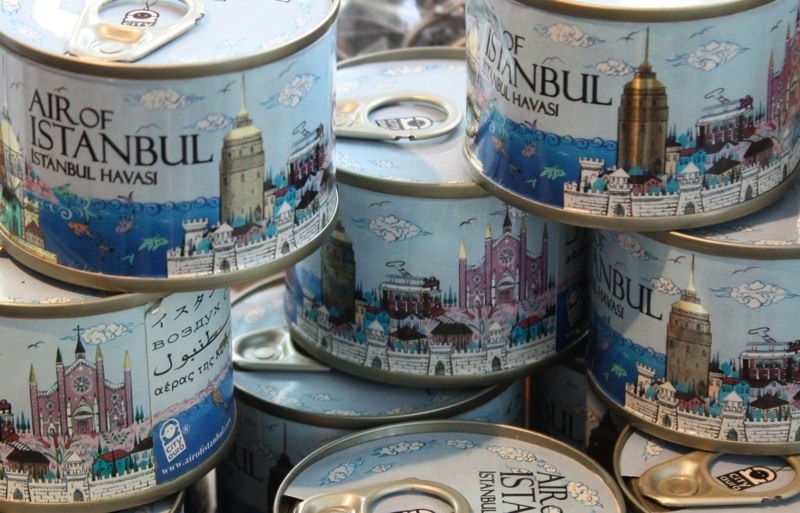 During the same trip, I had a brief stopover in Istanbul where these souvenir tins of air had caught my eye. I hope that this is valued as a unique slant on the theme. I have to add, I think the Turks could sell me anything! I’ve chosen to nominate people who have taken the trouble to comment on my own blog. So thank you, and good luck with your own entries.